Gary W. Darling, 62, of Concord Twp. passed away Thursday November 20, 2014. He was born March 1, 1952 in Euclid. Mr. Darling worked as an Industrial Electrician at Ayrshire for 34 years. He obtained his Bachelorette degree from Ohio State in 1974 and remained an avid Buckeye fan throughout his life. Gary was a patron of his country and was exceptionally proud of his daughter and sons-in-law in the U.S. Navy. He was known foremost for his strong character, generosity, devotion, will and determination. His children viewed him as multi-talented and able to accomplish any task before him. You might say that Gary was a man that could go into the wilderness with a Q-tip and a pocket knife and build you a shopping mall. He had an unrivaled tenacity. Everyone will remember that family was the most meaningful thing to Mr. Darling. He put all of his energy into making his son, daughters and grandchildren happy-they were his livelihood. Everyone knew him as a kind man that would lovingly help with things he was never even asked to do. 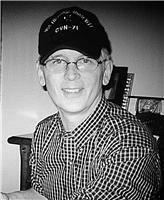 Gary was a passionate Christian and attended New Covenant Fellowship Church of Chardon. Survivors are his children Hunter (Amanda) Darling, Rachel Darling (Matt Drotleff), Whitney (Jason) Cornelius, and Merill Darling (Joe Addy); grandchildren, Cole, Isabella, Kyle and Bryce; and his brother, Randall (Susan) Darling. He was preceded in death by his parents John and Hazel Mary Darling. Memorial service to celebrate Gary''s life will be held from 2 to 5 p.m. Saturday at the Brunner Sanden Deitrick Funeral Home & Cremation Center, 8466 Mentor Ave., Mentor. A prayer service to conclude the celebration will take place at 5 p.m. on Saturday. Private family inurnment will be held at Western Reserve Memorial Gardens, Chesterland. Contributions may be made in memory of Gary to the NAMI Foundation One Victoria Square, Suite 260 Painesville, OH 44077. Please share your memories of Gary.